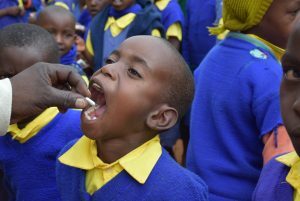 Deworming: What’s That and Why Does Kenya Connect Do It? Most of students at Kenya Connect’s partner schools live in homesteads without running water and electricity. Some families have water tanks that harvest water during the rainy season, but most collect water at streams, ponds, and bore holes. Most of the water is not treated and that coupled with the lack of hand washing results in children with parasitic worms that compromise their immune system and make them more susceptible to other diseases. 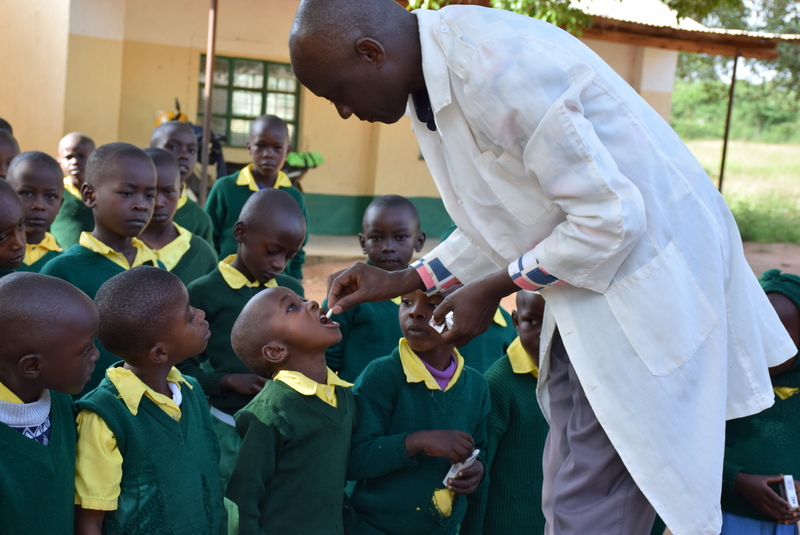 In 2011, Kenya Connect began deworming programs at three of our partner schools with the assistance of a visiting team and local health professionals. Since that date, with the support of St. John’s Episcopal Church, Thomas Wootton High School’s NHS, The Episcopal Diocese of Maryland, Johnson and Johnson Caring Crowd program and individual donors we are now deworming students at 28 of our 55 partner schools. Deworming in underdeveloped countries has been shown to be one of the most cost-effective means for keeping children healthy and in school. In addition to the deworming, which entails administering a pill to each child at 3 month intervals, 4 times a year, the medical doctor in Kenya provides hygiene information for the children and encourages them to use the installed hand washing stations (funded through Kenya Connect) and liquid soap to stay healthy. Kenya Connect’s sustainable liquid soap program, initiated in March 2017 with the help of the Johnson and Johnson CaringCrowd program, is providing soap to school hand washing stations, and the student health teams are also selling the soap to families for use at their homesteads. The combination of deworming medications and hand washing at home and at school is helping us to keep Kenyan students healthier so they do not miss school. Students are currently being dewormed at the 28 partner schools before their August school break. We are thrilled that this initiative continues to keep kids healthy and in-school.